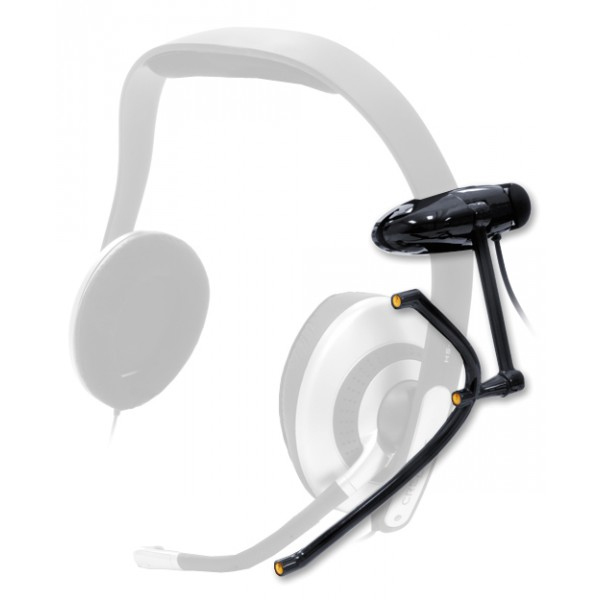 The perfect TrackIR accessory, clips to most over-the-ear headsets (see below). Combined with a TrackIR, the TrackClip PRO delivers precise 6 degrees of freedom view control. On your favorite headset, the only thing you will notice about the lightweight TrackClip PRO is your improved gaming experience. 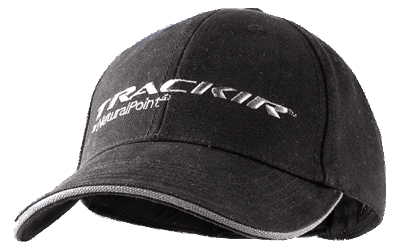 This stylish high quality hat can carry your TrackClip for a full TrackIR experience. This TrackHat comes in black with light grey trim (TIRH-BLK) or white with light orange trim. (TIRH-WHT) One size fits all. 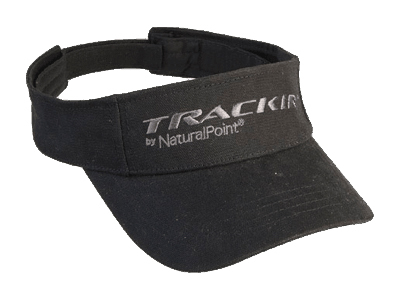 This stylish high quality Visor can carry your TrackClip for a full TrackIR experience. 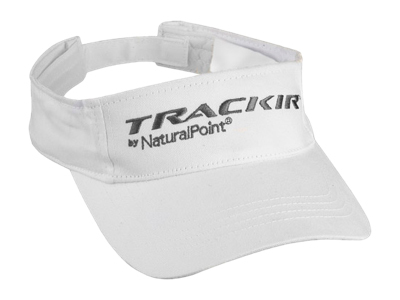 This TrackVisor comes in black with light grey trim (TIRV-BLK) or white with light orange trim (TIRV-WHT) . One size fits all. Have you lost or damaged your TrackClip? 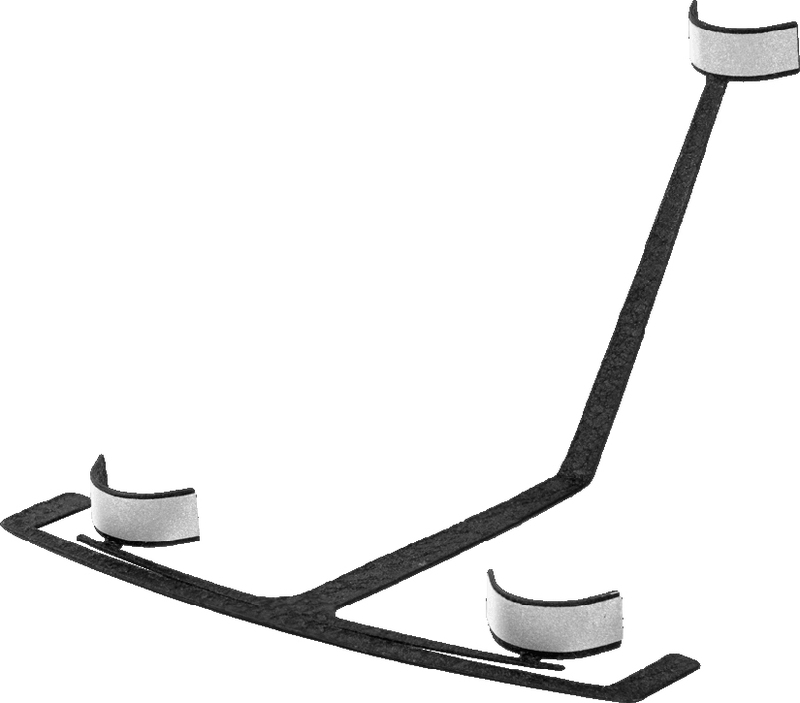 Replacement TrackClips are available. The Vector expansion, building on the proven and affordable TrackIR technology, takes head tracking to a new level of realism. Vector precisely translates all head motion into your virtual point of view. Pan side to side, look around, even zoom with full 3-dimensional tracking. Combined with the TrackIR-3 Pro, you get the most realistic head tracking experience possible. Vector allows you to expand your view control to a full range of motion, from 2 Degrees (2DOF pitch/yaw), to all six degrees of freedom (6DOF). No matter how or which direction you move your head, Vector instantly captures it with extreme precision and accuracy. FULL 6DOF is supported in MSFS2004 and CFS3 on launch, many more titles to come shortly. Vector works with any TrackIR Enhanced title. Some titles support all 6DOF and others support fewer axes, but each will benefit from the real precise tracking. For 2DOF games like IL-2 Pacific Fighters you now have true pitch and yaw, no more worrying about leaning in your chair, or holding your head still, and translation no longer causes unwanted view movement. Vector makes the TrackIR Even Better! With a TrackIR you can control the Pitch/Yaw via a single dot, however it does not know if you are rotating your head or translating it (leaning), requiring the user to not lean. With the Vector Expansion we now track 3 points and compute where you are, tracking your actual motion, the system can now tell the difference between rotating or translating. Vector allows you to move around in your chair without iterfering with your view control. Some users take longer to get comfortable using the TrackIR than others. But all users agree that once they do get comfortable with their new found view control that they won't fly without it. With Vector you get even more in-game immersion and it won't take a long time to get used to as you don't have to train yourself to hold your body still! This stylish and functional flight-style hat removes the need for reflective targets. 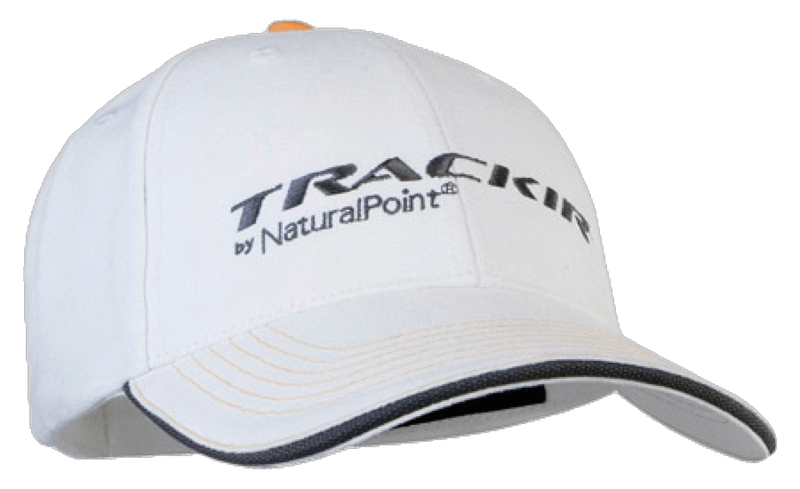 With built-in tracking surfaces on the brim and back, the TrackHat improves the ease-of-use and accuracy of your TrackIR. Most people really like using this high quality hat to carry their reflective material. Hats put the reflective material a couple of inches in front of your forehead, which accentuates the movements of your head. 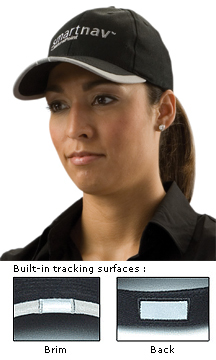 The hat comes in black with light grey trim and tracking surfaces on both the front and the back. One size fits all, adjustable. Extra dots are useful for attaching to other items like glasses, hats, microphone booms or even your forehead. They do tend to get used up so ordering some extra is always a good idea. 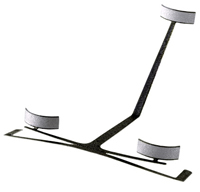 A rigid black plastic clip to secure your TrackIR to any surface. 1.125" wide by 1" deep by 0.25" tall. To apply: place a clip on your TrackIR, remove cover from sticky area on bottom side of clip, position TrackIR where you want it to stay, and press down firmly on the clip. 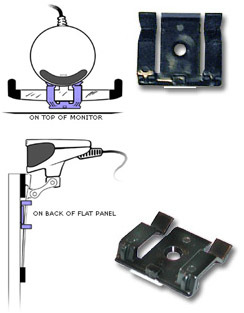 TrackIR can be removed from the clip, and reinserted, but the clip will stay in the exact same place until removed. Three 1" x 4" long strips of raw material can be fashioned into a variety of custom shapes to meet your individual needs. You can create custom hats or headbands to use instead of the dot by simply cutting out the proper shape and sticking it to a headset or other objects. Wrapping the material around a small ball works well in many situations.